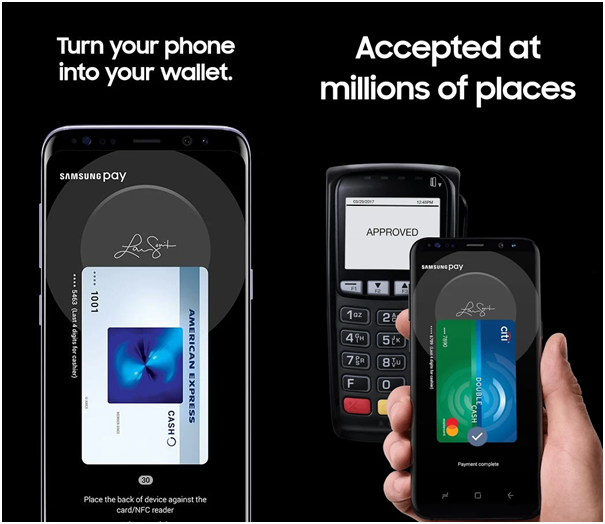 When you make any online transaction with your Samsung you might be using Samsung Pay the mobile payment app. But often this question is in debate as which is better Samsung pay, Apple pay or Google pay. Let’s first compare all these three apps and find which is better to use. Samsung Pay is by default the mobile payment app found in Samsung Galaxy S9, S9 plus, Note 8, S8, S8 Plus, S7, S7 Edge, S6 Edge Plus, Galaxy Note 5, Galaxy S6 and S6 Edge, Gear S2 and S3 smartphone. This app is available in 24 countries worldwide and you need fingerprint, PIN or your eyes iris to keep it secure. You can use Samsung pay with NFC, magnetic stripe or EMV terminals and when doing in-app purchases. You can add your Credit, debit, loyalty and gift cards to this app. Also check out here for the compatible banks with Samsung App in US and Canada. Also Paypal allows Samsung Pay to work for online transactions. Samsung Pay can be used with Gear Sport, S2 and S3 (but MST support is only on the Gear S3). Apple Pay comes as default app with Apple iPhone X, iPhone 8/8 Plus, iPhone 7/7Plus, 6/6 Plus, 6S/6S Plus, SE, Apple Watch, MacBook Pro with TouchID, iPad 5th/6th generation, iPad Air 2, iPad Pro and iPad Mini 3 and 4 tablets. This app is available in 27 countries worldwide and for authentication needs your Face ID or fingerprints to get secure access. You can use this mobile payment app with NFC terminals, in-app purchases and web purchases in Safari and you can add your Credit, debit and loyalty cards to do your transaction. Check it out here as which US and Canada banks are compatible with this mobile payment app. Apple Pay you can use on Apple Watch (in stores); on the iPad and Mac (for online purchases). Google Pay app comes by default on Android phones with NFC and HCE support running KitKat (4.4) or higher devices. This mobile payment app is available in 18 countries across the globe. For authentication it uses your Fingerprint, PIN, pattern or password to complete the secure transaction and works with NFC terminals and you can use for in-app purchases. Also you can add Credit, debit, loyalty and gift cards to this payment app. Check out here for the compatible banks in US and Canada that allow Google Pay to work. Also Paypal allows Google Pay to work for online transactions. Google Pay also you can use on some Android Wear watches. With regards to availability, once you’ve added your cards to one of these mobile wallets you should be able to use them in any country that accepts contactless payments, as long as you would normally be able to use your physical card in that location. In the case of Samsung Pay, that also includes any terminal with a magnetic card reader. When you make a transaction with Samsung Pay, you’ll see a transaction notification pop up. Apple Pay and Google Pay use NFC, or near-field communication, to power contactless payments. Just tap your phone to a compatible terminal and the transaction is complete. 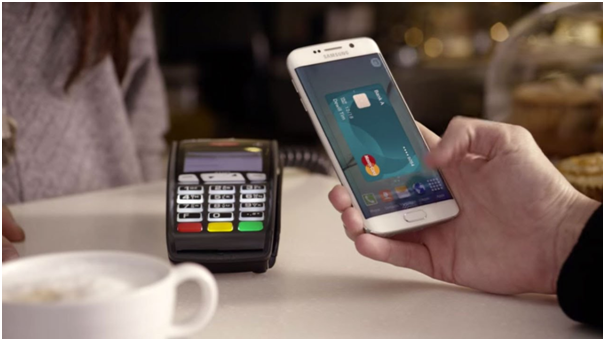 Samsung Pay uses NFC and a technology called magnetic secure transmission (MST). When you hold the phone against any terminal, it emits a signal that simulates the magnetic strip on a card. This means it works with pretty much all terminals, without the merchant having to update their point of sale systems. The one situation where MST won’t work is when you need to insert a card into a slot, like at a gas station. Offline payments are also supported on all three platforms, so you can make a limited number of transactions if you have no cell or Wi-Fi signal. Which is best for security? Samsung pay is best when you compare it with the other two for security. Mobile payment systems use a method called tokenization to keep card details secure. Once you add your cards to the app, it generates a virtual account number and your real card number is never given to the merchant. When you tap your phone to make a payment, it sends the tokenized card number and a cryptogram that acts like a password. The card network then verifies and processes the payment. Apple requires you to authenticate using TouchID (fingerprint), FaceID or PIN before a payment can go through. Samsung requires an iris scan, fingerprint or PIN to confirm purchases. But Google Pay only needs your phone to be unlocked with fingerprint, password, pattern or PIN before transactions can go through. If you lose your phone, all three allow you to remotely wipe the device which will also remove all your card details. If you compare it with Apple Pay for security though TouchID is still more convenient than FaceID many people consider this as best. Which is best for browser usage? Al the three mobile paymemt apps are best for browser usage. Apple Pay is available for browser payments in Safari, and you’ll need to authenticate with your fingerprint or FaceID. You can do this from an iPhone or iPad; a MacBook Pro with fingerprint support; or a Mac and verify with an iPhone or Apple Watch. Samsung Pay and Google Pay work on the 340,000 sites that use Visa Checkout, if you’re shopping from your phone. All three services also work when checking out in several apps. Which is best for peer-to-peer payments? Google Pay is best for peer to peer payments. Apple Pay and Google Pay are the only two services that let you pay friends. Samsung Pay does not currently have a peer-to-peer option. 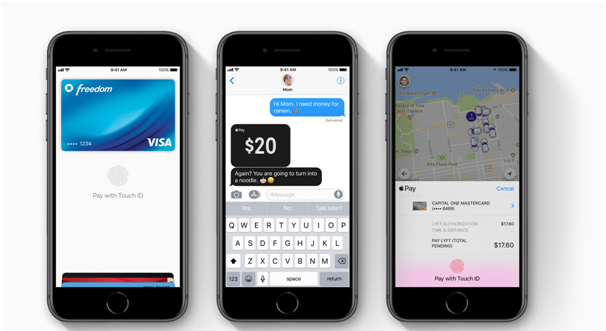 With Apple Pay Cash, you can send money to contacts with Apple IDs through iMessage. Unfortunately, that means you’re cut off from anyone who doesn’t have an Apple device. Money can be stored on your virtual card in the Wallet app or you can withdraw to your bank account. Apple Pay Cash is only available in the US for now. You can pay any phone number or email address from the Google Pay Send app or desktop interface. 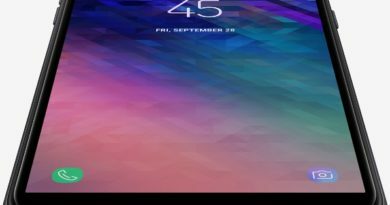 The app works across Android and iOS devices. Like Apple Pay, you can keep a balance or withdraw to your bank account. 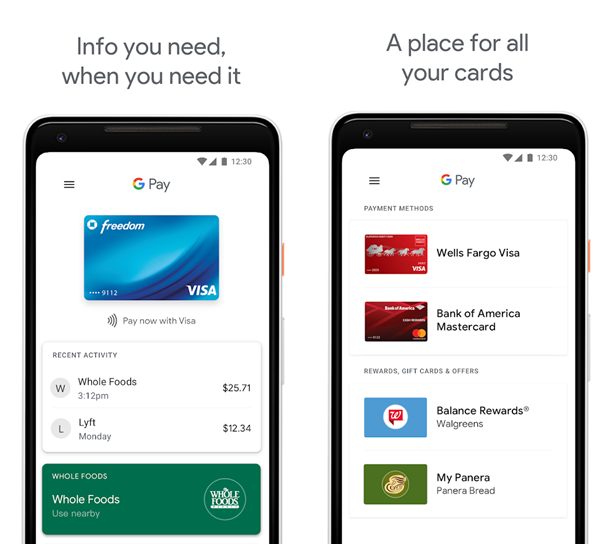 Google Pay Send is available in the US, or via pay.google.com for UK users. Well the answer depend on your usage and choice. For Apple users, your only choice in the real world is Apple Pay, while Android users must use Google Pay. Samsung owners can choose between Samsung Pay or Google Pay or you can have both on your phone, but you will need to set one as the default and change that setting if you want to use the other. If you ask samsungslots then with the sheer compatibility across the widest range of terminals, Samsung Pay is best for us due to its MST technology. 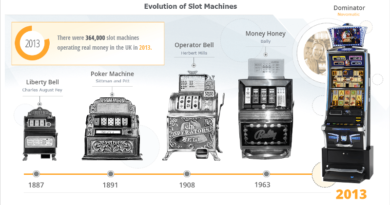 For our slot fans who use social apps to play games and wanna gift a purchase of free coins to play slots they have Google Pay as best which is the most flexible way to pay friends on their Android phones. 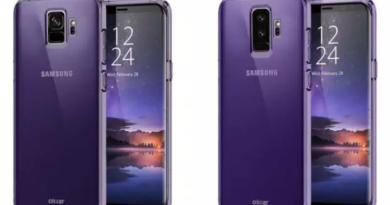 September 15, 2018 Kamal Kaur Comments Off on What are the best Samsung Galaxy S9 screen protectors to buy for my new Android?